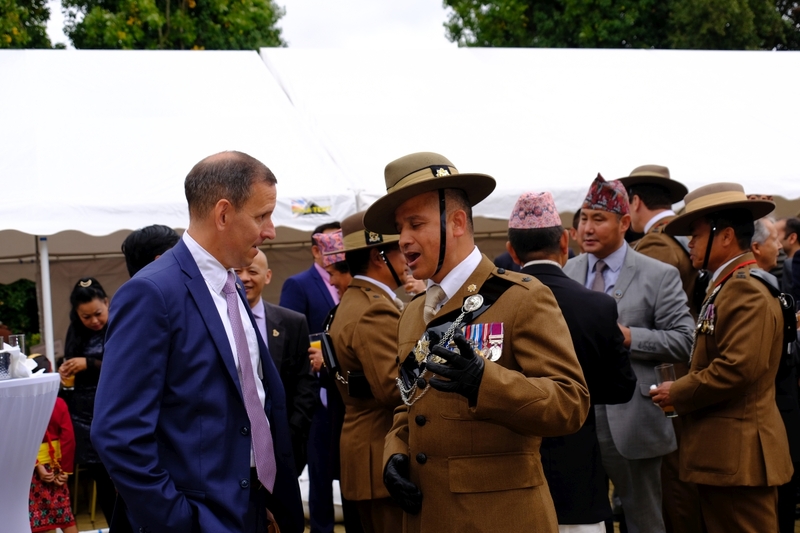 Members of the Brigade of Gurkhas were invited to attend an event to celebrate Nepal National Day at the Nepal Embassy in London by the Ambassador His Excellency Dr.Durga Bahadur Subedi. The Principal guest was HRH Prince Michael of Kent. The Ambassador thanked the guests for accepting his invitation to celebrate the National Day in London. He then went on to highlight the respect Nepal and the United Kingdom had for each other and the working relationships established over the last 200 years. He stated that the Nepalese and British People had a common belief in peace and cooperation across states. He then talked about the importance the Nepalese Government was placing on common ground in world relations. HRH Prince Michael of Kent, thanked the Ambassador for his kind words and thanked Nepal and their contribution to the British Army through the Gurkhas who have stood side by side British Troops at every conflict around the world over the last 200 plus years. 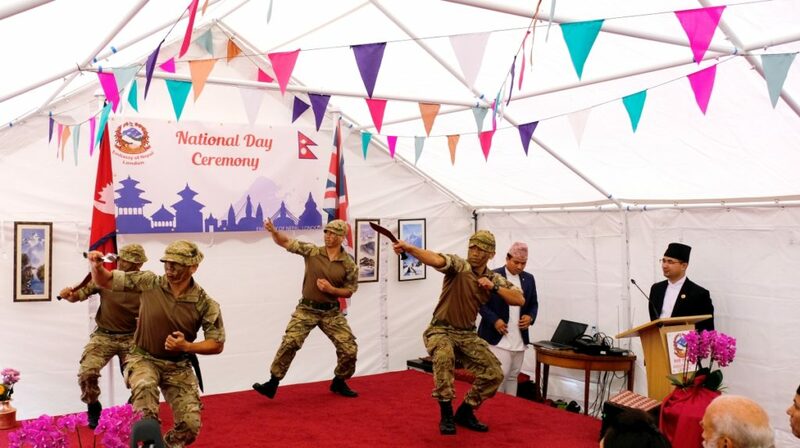 The 300+ guests were then entertained with cultural dances from local Nepalese children, Gurkhas from the Queen’s Gurkha Engineers and the Band of the Brigade of Gurkhas. A fantastic Nepalese curry buffet was also served to the guests. We wish Nepal well for the coming year and the future beyond.